Go on Amber... A pliable gum that offers great styling and perfect hold for all day confidence. 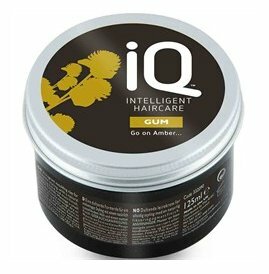 Great for all styles giving a firm hold, our Gum can help give volume and control to your style. It helps enhance hairs natural shine to leave a glossy finish. ALL of our products are Sulphate and Paraben free. This means that our range is safe for use on all colour treated hair and you will find no harsh preservatives, synthetic fragrances or artificial colours here.